Residents of Norton Sound of the Bering Sea, Alaska. Home » Residents of Norton Sound of the Bering Sea, Alaska. 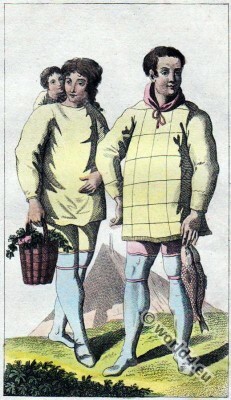 Inhabitants of Norton Sound of the Bering Sea, Alaska. This entry was posted in 1840, 19th Century, Alaska, North America and tagged Native american dress, North American costumes, Traditional Alaska costumes on 1/10/15 by world4.